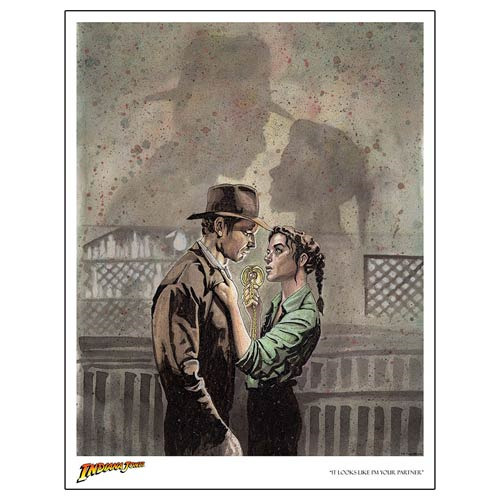 Check out this limited edition lithograph featuring Indiana Jones and Marion Ravenwood from Raiders of the Lost Ark! A limited edition of 250 hand numbered pieces, this beautiful print will fit perfectly into your Indiana Jones collection! By artist Gary Shipman, each print includes a certificate of authenticity and measures 17-inches x 22-inches.